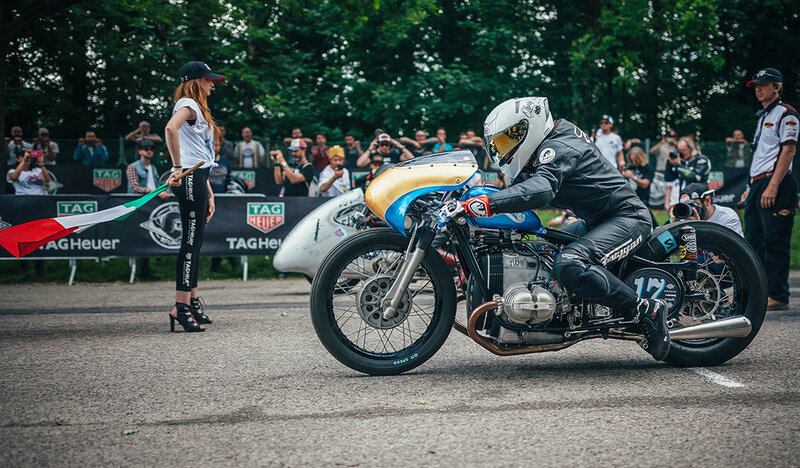 Founded by Seb Lorentz & Laurence Chatokhine, Lucky Cat Garage is a workshopdedicated to custom bikes creations but also communication, marketing & eventorganizations as the Sultans of Sprint european championship. Very well known & recognized by the scene Lucky Cat Garage aim is to create unique projects with a fresh avant-garde approach in mind trying always to explore new boundaries always with a high level of craftsmanship and a good sense of humor. Established in Chartres France since 2012. For the moment the Lucky Cat Garage sprintbeemer is in third position of Sultans of Sprint 2016 challenge ! Congratulations to Schlachtwerk & FCR Original for the 1st & 2nd place. Was rad also to race with Switch Stance Riding from Japan & all the other good friends we have in this championship. Can't wait to race again & party at Glemseck 101.